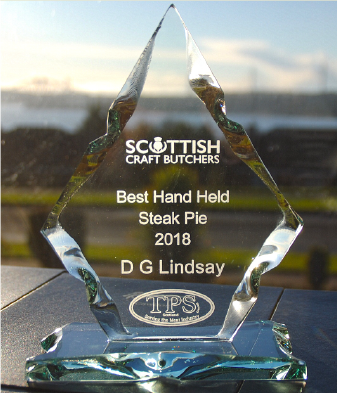 DG Lindsay & Son is an award-winning craft butcher that began trading in Perth in the late 1800s. We’re proud to say that the business has always been in the Lindsay family and is now being run by our fourth generation. We started in a shop in Leonard Street, Perth, which was well-placed for farmers making their way home by train, as they’d come in to the shop on their way to the station. When cars became more popular, we relocated to the shop in North Methven Street to be more central. Our owner, Beaton Lindsay, was even born in the flat above the shop! We’ve served the people of Perthshire and beyond for over a century now, and we plan to keep doing so for many years to come. having a happy team of staff who love what they do. It’s a recipe that has worked for us for over 120 years! That’s why our customers come back generation after generation, too. Who are the customers at DG Lindsay & Son Family Butchers? We have a hugely varied customer base. We supply everyone from wholesale businesses, caterers, burger vans and restaurants, to individual customers and their families. 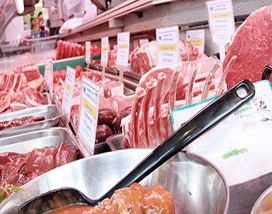 Anybody and everybody who likes high-quality meats will find something they love at DG Lindsay & Son. So whether it’s your weekly order of a quarter of mince, a BBQ selection for your special summer party, or large-scale orders for a restaurant or catered event, we can supply it. From our older customers who know exactly what they want, to our younger clients who are keen to learn more and want to buy local meat that’s been reared well – we’ll ensure that you all receive the best. It’s truly a family affair at DG Lindsay & Son, with mum, dad, son and daughter-in-law at the helm. We’re also the only family that has had four members as president of the Scottish Federation of Meat Traders Association. All of our counter staff are time-served butchers who have been with us for many years – we have extremely low staff turnover – and love what they do. And our customers really appreciate the friendly welcome and personal attention that they receive from our team. And now our fifth generation – DG Lindsay’s granddaughters – also enjoy coming into the shop to help out from time to time. They’re glad, though, that they don’t have to do the message bikes at age 13 like their father and grandfather! If you’d like to hear more about our high-quality products or discuss an order for yourself, for an event, or for your business, we’d love to hear from you. It could be a one-off or a regular requirement – we’re happy to help. We also do free home delivery to the Perth and Scone areas.